Katia was born in New Mexico and moved to southwest Kansas when she was just four years old. She attended numerous schools in southwest Kansas and Oklahoma as her family moved around the area to find work at dairy farms. 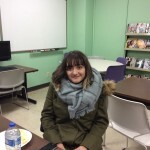 Katia came to Kansas State University through a College Assistance Migrant Program that is available to stude nts from migrant and seasonal farm working families. This scholarship program provides financial assistance for students to attend and succeed in college. Katia is pursuing a bachelor’s degree in Geography and also studies Arabic. She plans to study abroad this coming summer through a Critical Language Scholarship program that provides the opportunity for a student to live a host country of a critical language to study the language and culture. 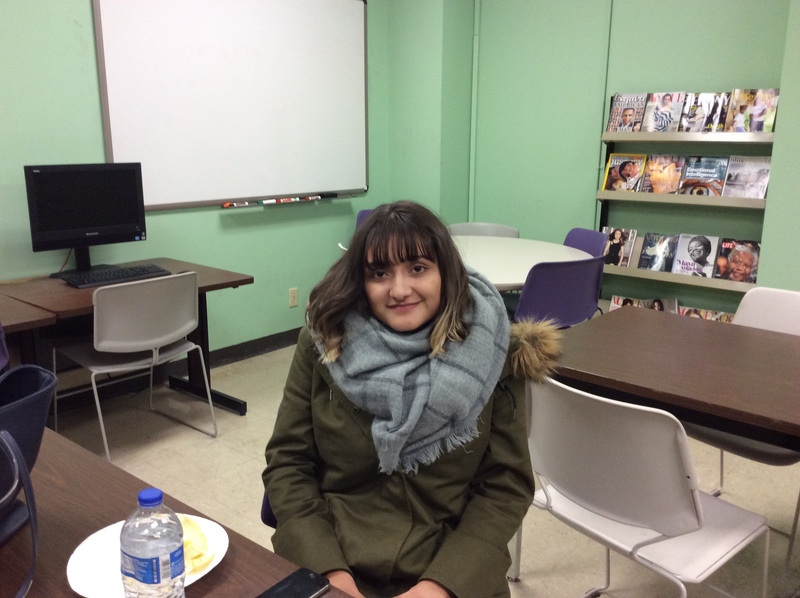 Katia hopes to go to Morocco, Saudi Arabia, or Jordan to further develop her Arabic language skills and understanding of Middle Eastern culture. This year, Katia works on campus for a grant-funded program called Cima/Go Teacher that brings teachers from Ecuador to the United States to teach English as a second language and implement diversity in elementary, secondary, and post-secondary schools. Right now, Katia is working on transcribing data, which means she must transfer a recorded interview onto paper so it can become functional data the program can use in research. After graduation, Katia wants to pursue a career with a non-profit organization that helps individuals safely immigrate from war torn countries in the Middle East to Europe. She is very passionate about helping people in immigration affairs because her parents came to the United States from Chihuahua, Mexico, which is a state located next to the Mexico-U.S. border. Katia encourages everyone in the Pilots Program to attend all the cultural events they can and to even go by themselves! She had the opportunity to meet many wonderful people through the numerous cultural events she attended. Katia also urges students to get in touch with the people in their departments because they can provide some really wonderful advice and even employment opportunities for the topics they are interested in.